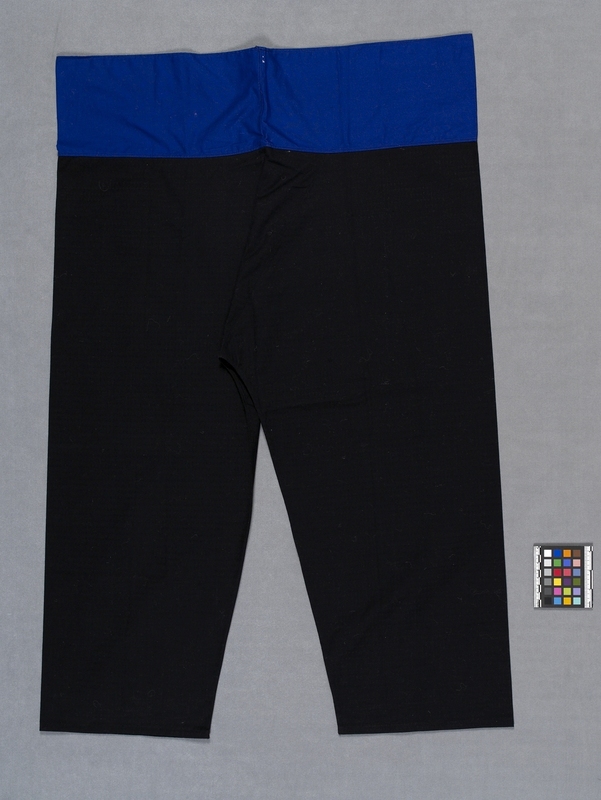 Item number Edz936 from the MOA: University of British Columbia. 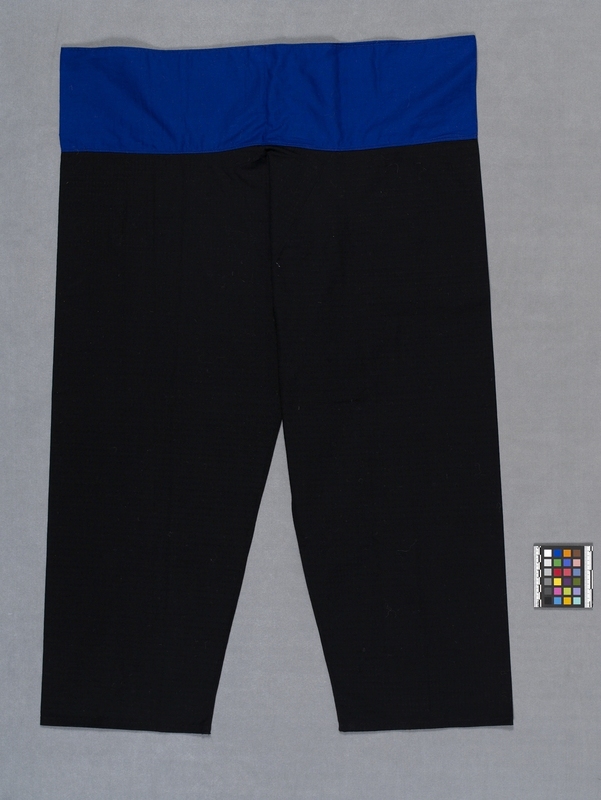 Black pants with wide blue waistband, centre gusset and straight pant legs. The pants are a jacquard weave cotton in lozenge and dot pattern. The inside is unlined. Worn as lower garment. Folded over at front to fit, tied securely with a cord or band (collector). worn by women, probably on special occasions.